Click the link to head to my Sales Post! Mostly TOMYs, and other small toys. 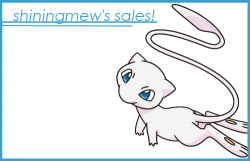 Other Pokemon Fan Sites and Collections!